Discussion in 'iPhone Jailbreaking' started by BigPebble85, May 7, 2017. I have been using Cydia for about a week now, when I first used it all was well. After about 2 days, when installing anything on Cydia it just says running Debian packager but then infinitely loads which means I have to do a hard reset. Is there any way of fixing this? 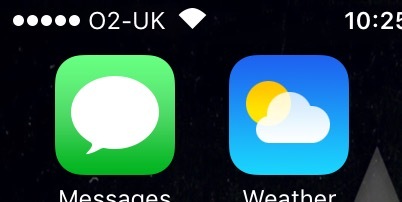 Also even in safe mode, my carrier signal and Wi-Fi icon are different to normal which I'm thinking this could be part of the issue but can't find what's causing it. Any help would be greatly appreciated, thank you. I'll put the image links below to show the problems. The first one is when installing anything on Cydia and it just infinitely loads, causing me to do a hard reboot. The one below is the weird icons that I have in safe mode.